Using some computational magic and an iOS app, this handheld video camera lets you livestream like a pro. Livestream’s Movi camera feels like the next step in the evolution of livestreaming. It offers the ability to professionally pan, zoom, and cut back and forth between multiple virtual cameras—but all with just a single, small $399 device. 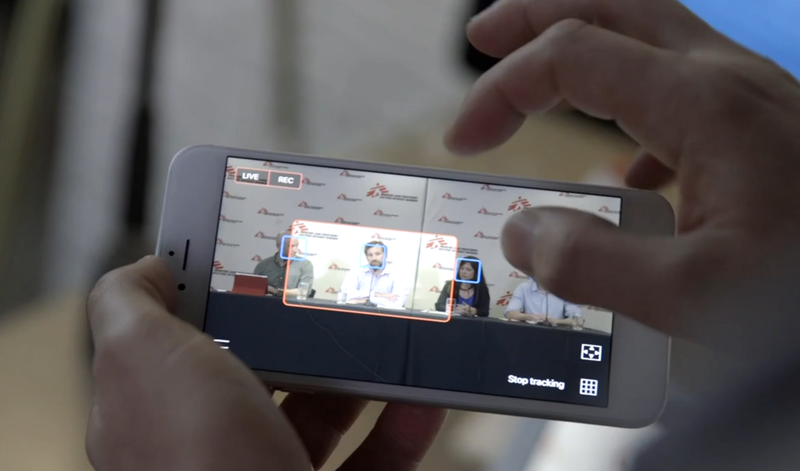 Livestreamed video typically goes one of three ways: It's either a boring feed of a static scene, a nauseatingly jerky experience as the cameraperson angles for a better shot, or a smooth, professional-looking stream with skilled cuts back and forth. The latter is usually the result of professional expertise and/or equipment. 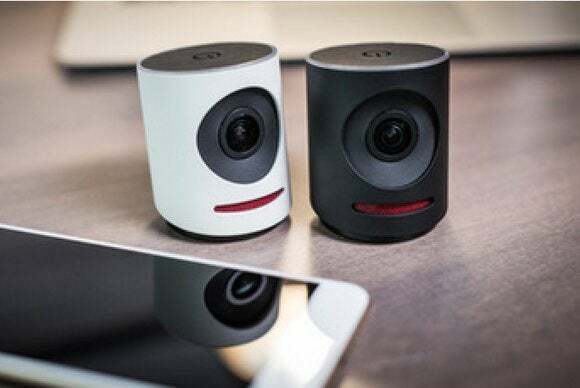 The magic of Movi, Livestream’s first consumer camera, is that it helps you achieve professional-looking results by pairing the device with an easy-to-use iOS app that lets you smoothly transition between different angles and focal points as your stream is being captured. There are just a couple of catches: Since the Movi is designed as a livestreaming camera, you’ll be making editing decisions on the fly. Though video can be stored for later playback (and presumably editing) that isn’t the way Livestream intends the Movi to work. And though the Movi is a 4K camera, the actual output is only 720p: All those additional pixels are used to create the virtual cameras that the Movi cuts back and forth between. Finally, don’t assume that an Android version will arrive soon; Livestream's Jesse Hertzberg said the company spent a great deal of time optimizing the app for the iOS platform. Still interested? If so, Livestream is offering a $200 discount off the eventual $399 retail price if you pre-order. The Movi makes cutting back and forth as easy as a tap. The Movi isn’t much more than a chopped-off 2.5-inch cylinder with a 150-degree lens mounted in its side—at a quarter of a pound, it’s light enough to hold in your hand, but also sturdy enough to place on a stage or a mount. The included battery will last for about an hour (although a separate Movi Pro accessory includes Ethernet and a larger 10-hour battery). 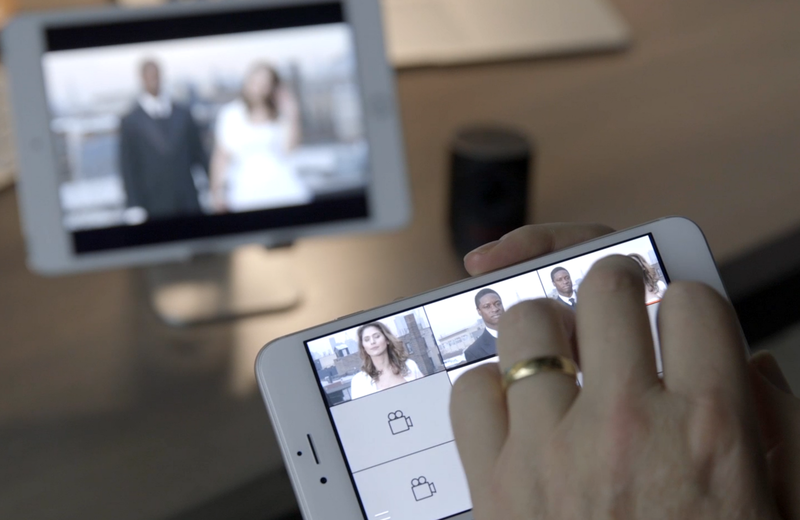 The Movi stores video either on an included 16GB SD card or directly on an iPhone, which serves as your control interface. Livestream also offers a $9-per-month subscription plan to stream events live via its network, using the camera’s built-in 802.11a/b/g/n Wi-Fi. The Movi is smart enough to figure out who it’s looking at. You can also set up your own virtual camera shots to cut to. The Movi creates a 4K stream of the entire scene, which serves as the border of your digital canvas. As the video streams, the Movi intelligently tracks the faces of who it sees. The associated iOS app then creates a separate shot of each person, accessible via an index page on the app—you can preset up to nine of these shots. Cutting back and forth is as simple as tapping the video window on the index page—the live video will snap back and forth, as you decide. You can also set your own fixed shots, such as a custom box that includes two of the speakers on a panel of four. If you like, you can also pan the virtual camera right and left by dragging its framing box—if you drag quickly, the pan will execute quickly; a slower pan will take longer. By default, however, the Movi’s software will transition between each editing choice smoothly. Movi’s also smart enough that, if you so choose, the software will start making intelligent decisions on its own. Like some videoconferencing software, Movi will identify the person speaking and focus on him or her. While it’s still possible to make a poor editing decision, such as accidentally panning the video onto the speaker’s shoe, Movi does what it can to make everything look like a $30,000 editing studio is producing the stream.